Women all over the world can be seen challenging gender norms and making their presence felt in every industry. In this day and age, we see women leading as prime ministers to even getting trained in the armed forces to lead in combat and warfare. Until 21st century, taking up networking as profession was a tough challenge for women especially because of the technical acumen and hard work needed to establish yourself in this field. But now story is different. Like any other field girls/women are taking this challenge and winning as well with flying colors. At Network Bulls we have seen many female attendees breaking stereotypes and making a successful career after Cisco CCNA, CCNP & CCIE Training. We will look at similar inspirational stories in this article today. The first amazing story is that of Payal. Payal enrolled at Network Bulls for CCIE Routing and Switching Integrated course which involved CCNA R&S, CCNP R&S, CCIE R&S training. After completing her CCIE R&S Integrated training, she got job interview opportunities with 4 big IT Multinational companies and performed exceptionaly well in all. She finally accepted job offer from Spectranet with an extremely good salary package. Payal’s success was not hindered by anything. She was confident and gave her best when it came to studying and training, which finally landed her on “a dream job” at Spectranet - best known Internet Service Providers in the country. Being a woman didn’t hamper her drive to pursue a networking career and she also got rewarded for her endeavor. To meet her go to - Payal makes her Career Fly, Gets Job Placement at Spectranet after CCIE R&S Training. 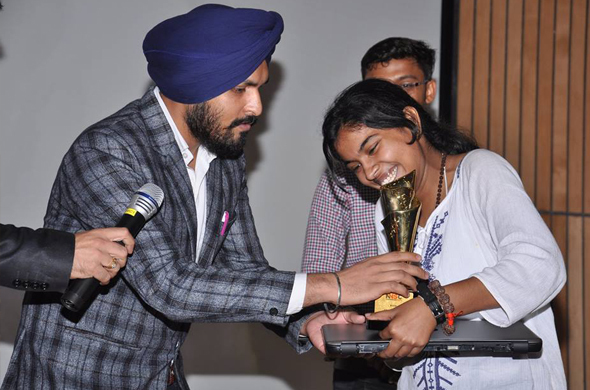 The next inspiring story is that of Anisha, She won National Network Security Championship (NNSC) organized by E-Cell of IIT Kanpur and made everyone at Network Bulls proud. The event saw participation of 180 students from several prestigious institutions of the country, including IITs. Anisha, who joined Network Bulls for CCNA training, defeated 179 other contestants. How cool is that? Anisha’s story reiterates the idea that women can not only take up Cisco certification courses but can also be the best in it. Read more about Anisha’s feat - Anisha Bags No.1 Position in NNSC. Saving the best for the last, the story of this young girl is not just inspiring but it will also leave you astonished. In the picture is K Visalini. This young girl is a not an ordinary person. She is a world-renowned child prodigy with an Intelligence Quotient (IQ) of 225 – the highest in the world. Visalini came to Network Bulls at the age of 13 for CCIE R&S training. On February 10, 2014, she cleared the CCIE R&S (written) exam with a whopping score of 958/1000. Yes! At the age of 13 ! She has five world records on her name and one of them is becoming the Youngest CCNA professional in the world. Visalini is another exemplary role model for all the women out there who wish to make big in Cisco Networking Career. Many women have carved out their niche in the field of Networking and information technology. Download PDF Can women have a Successful Career in Networking after Cisco CCNA, CCNP & CCIE Training? Nowadays, not only do we see women leading teams but also heading the top positions in some of the biggest IT corporations in the world and having a CCIE certification comes a long way in achieving such feats. Anisha, Visalini and Payal have proved that women, like men, can lead a successful career by pursuing courses like CCNA, CCNP and CCIE. Their achievements are greatly inspiring and we hope that their stories leave no room for doubts on whether women can successfully lead in CCNA, CCNP and CCIE career tracks or not. If you have a similar story to share, please write it in the comments: we would love to know.